The government has confirmed a major £75 million investment in the Cavendish Laboratory at the University of Cambridge. Originally announced in the 2015 Spending Review, the confirmation coincides with a new £85 million private donation to the university from the estate of the late Ray Dolby. The funding will be used to support the construction of a new building for the Cavendish Laboratory, which has a long history of scientific inquiry and discovery; it will be its third home since its founding in 1874. 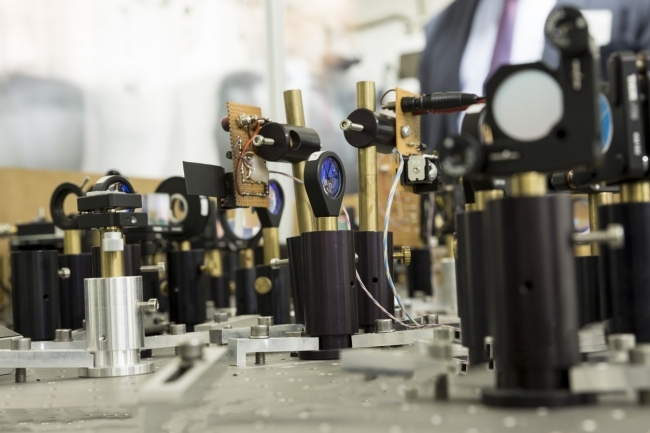 This investment will help to maintain Britain’s position at the forefront of physical sciences research and offer unrivalled facilities for the benefit and advance of research in Cambridge and the physics community in the UK. Work on the new facility is expected to begin in 2019. The Engineering and Physical Sciences Research Council (EPSRC) will act as the delivery partner for the government funding. The Cavendish is buoyed further by the announcement today, in San Francisco, of a further £85 million gift from the estate of Ray Dolby, founder of Dolby Laboratories. The gift is the largest philanthropic gift ever made to UK science and will support the laboratory where Dolby received his PhD in 1961. He was a student and later a Fellow of Pembroke College. In 1965, he founded Dolby Laboratories in London and invented the Dolby System, an analogue audio encoding system that forever improved the quality of recorded sound. He moved the company in 1976 to San Francisco, where it has been headquartered since. Science Minister Jo Johnson said: “This generous £85 million donation from the Ray Dolby estate along with the £75 million government has already pledged is a testament to the importance of this facility and the UK’s leadership in science. Professor Philip Nelson, EPSRC’s Chief Executive said: “I am delighted to announce confirmation of this funding for the Cavendish Laboratory, it is a significant investment in the UK’s physical sciences research base. Without the pursuit of new knowledge through fundamental science none of the technological progress and inventions we take for granted today would have been possible.